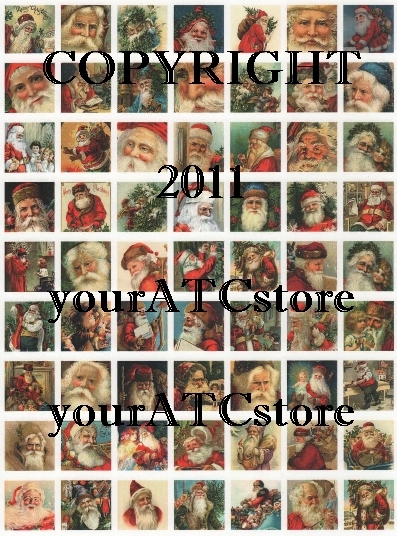 yourATCstore Christmas Santa 1" x 1" Inchies Collage Sheetis ready for you to create your holiday ATCs, jewelry, charms, and many other Christmas projects. There are a total of 63 different Santa inchies. This 8 1/2" x 11" collage sheet is professional printed and comes packaged in a crystal clear bag for protection. This product was added to our catalog on Wednesday 26 October, 2011.